was first published on Know Thy Health. Here in California, Big Ag, Big Food and other GMO backers continue to assault us with their anti-Prop. 37 propaganda. You see, these folks are very, very worried that we’re being mislead about the miracle of faux-food. They don’t want us to be confused. Are unintentionally produced with GMOs. Are made from animals given GMOs but are not genetically modified themselves. Contain trace amounts of GMOs. Are given for medical treatment. Are sold for immediate consumption. Really, it all boils down to the right to know what’s in food we don’t grow or make for ourselves. If GMOs are safe and wonderful, corporations should have no qualms about people knowing when they’re buying GMO (and when they’re not). 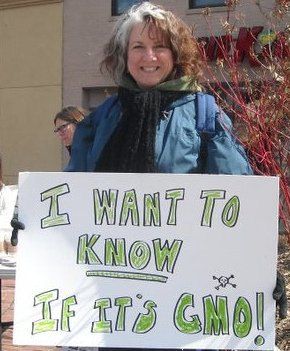 Indeed, at least one scientist who worked on the first GMO tomato, Belinda Martineau, is on the record as saying that the biggest industry misstep has been to resist disclosure. Not labeling, she says, makes the industry look like it has something to hide. She believes labeling is an opportunity. But, of course, there is mounting evidence that GMO foods do carry health risks. Industry understands that even suspicion of a problem might keep people from buying their products. Hence, its heavy investment in the campaign against transparency – over $34 million to date (vs. less than $4 million by those who favor labeling). After all, quite a few of them have bought up organic and other “natural” brands, seeing as how more and more Americans are demanding more wholesome food. This is nicely illustrated in The Cornucopia Institute’s latest infographic of funders for each side of the battle. (More here) They’re also making it known who’s MIA: Trader Joe’s, Whole Foods, Newman’s Own, Hain and Driscoll. As they say, as California goes, so, eventually, goes the nation. We hope this proves true once again.